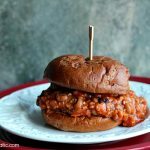 Wonderful New Orleans inspired Sloppy Joe Recipe from the cookbook, Vegan Slow Cooking by Kathy Hester. This recipe is Vegan, Soy-Free, Oil-Free, and can be made GF as well. Plus it’s just plain delicious and will make you taste buds super happy! My friend Kathy Hester is an amazing cook. She’s also a very talented cookbook author. 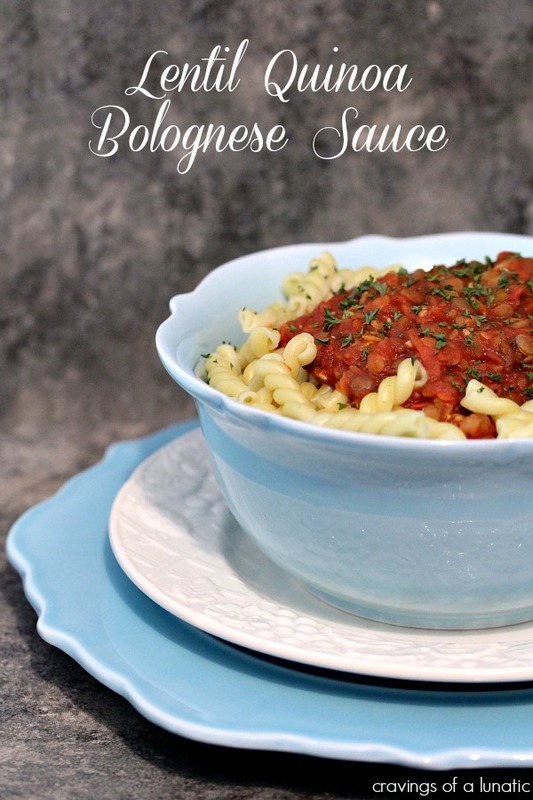 Yesterday I featured Kathy’s recipe for Lentil Quinoa Bolognese Sauce from her cookbook, The Great Vegan Bean Book. Kathy blogs at Healthy Slow Cooking. 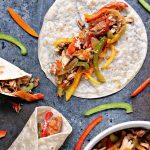 It’s such a wonderful site filled with so many recipes that are sure to be a hit in your household. I love this gal, and her cookbooks. Her recipes are much like she is, approachable. That’s a good word when it comes to people, and recipes. I like a recipe that you don’t have to jump through hoops to make. I found the ingredients for this one easily, which is saying something considering I seem to live in the culinary black hole. It’s nice when the ingredients are easy to find and to use. That’s the case with this cookbook, everything is simple to make, with easy to find ingredients, and the end results taste heavenly. 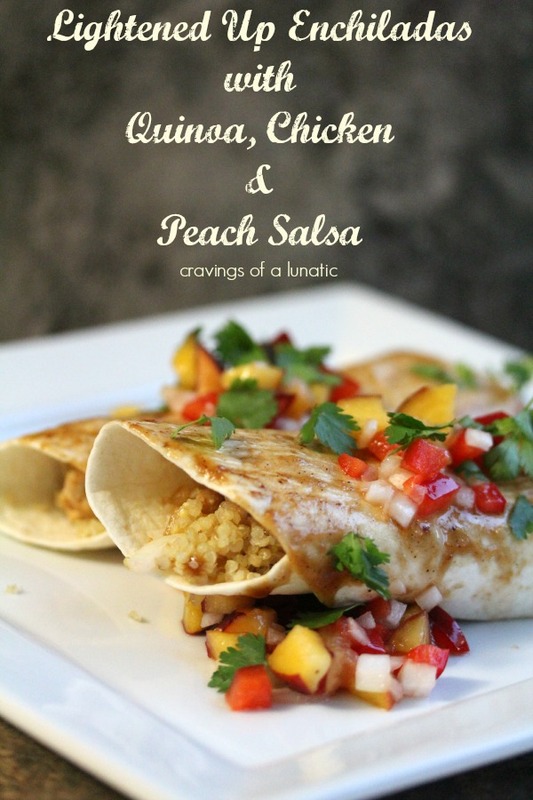 Today I’m featuring another one of Kathy’s wonderful recipes. This recipe is from her Vegan Slow Cooking Cookbook. I love slow cooker recipes so reviewing this book is an absolute delight. I had a blast pouring over it and trying out recipes. This particular recipe for Vegan Sloppy Black-Eyed Peas really caught my attention. I knew it would be a hit with hubs and the hooligans. I was not wrong. These sloppy joes went over like gangbusters here. They were scraping the bottom of the slow cooker to get it all. Now there’s a sign of a good recipe. 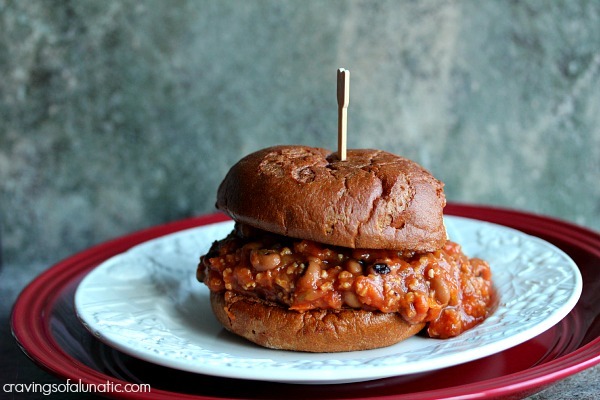 Wonderful New Orleans inspired Sloppy Joe Recipe from the cookbook, Vegan Slow Cooking by Kathy Hester. 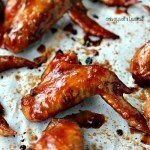 This recipe is Vegan, Soy-Free, Oil-Free, and can be made GF as well. Plus it's just plain delicious and will make you taste buds super happy! Add all of the morning ingredients to the slow cooker. Cook on low setting for about 7 to 9 hours. Right before serving add the salt and pepper, along with more cajun seasoning if desired. Pile the sloppy mixture on your buns. Serve with a big old happy and sloppy smile! Honestly, look at these sloppy sandwich. Don’t you just want to sink your teeth into it? I’d let you but I might have gobbled it all up already. You need Kathy’s cookbook. Seriously. When you buy her cookbook you’re going to want to check out page 87 to try the Green Beans in Black Bean Sauce with Tofu, page 100 for the Wacky Cincinnati Chili, page 114 for these sloppies, page 124 for the Hearty Lasagna Layered with Nut Ricotta, and page 129 for the Root Veggie Barley Risotto. Every one of those was gobbled up and demolished in minutes here. If people clean their plates in under 3 minutes in this household I know it’s a winner. I loved this cookbook, Vegan Slow Cooking so very much. Just like her other cookbooks, The Great Vegan Bean Book and Oatrageous Oatmeals. The recipes are easy to follow. The ingredients are simple to find. You can adapt the recipes to your own taste. I opted out of dark greens in this one since they bother my tummy. I love when recipes are easily adaptable. I love the weight of the book, it’s not too heavy or awkward to hang on to. It’s beautifully illustrated with lots of photos. I’d take a guess that the photo to recipe ratio is about 1 to 3. About every third recipe has a big glossy photo. There are tons of tips in the book. I really liked all the “did you know” sections. Kathy explains recipe variations really well. I am a slow cooker fanatic so this book was a huge hit for me. It’s a keeper. I have multiple slow cookers in my household. One year I asked for a slow cooker for the holidays and ended up with 3, then for some unknown reason I bought a couple more. Then gave a couple away. I would recommend the Hamilton Beach Set ‘n Forget 6 Quart if you want an inexpensive crock pot. I’m lusting after the Ninja Multi-Cooker 3 in 1 Cooking System but it’s a bit pricey. I bought some family members this Crock Pot 6 Quart Slow Cooker with dipper because the tiny one is too cute for words. Great for melting chocolate. I think the key with slow cookers is to just find one that suits your needs. For me bigger is better, but that’s not the case for everyone. Think about what you will be cooking in it before you buy it. That way you purchase one that fits your own needs. Disclosure: Kathy provided me a copy of her book, for free, but there was no other compensation for this review. Y’all know me, if I didn’t like something I’d straight up tell you that. This is one I not only liked, but loved. Also this post contains affiliate links. I earn a small commission if you purchase any items I recommend. Thanks for supporting my blog. Make sure you hop over to Kathy’s blog, Healthy Slow Cooking to say hello to her. You can follow her on facebook, twitter and pinterest. I’d stalk her everywhere. She’s totally worth a good stalking. I tend to be the same way Maureen so I can totally relate. This one is SO good. I like this recipe! Really fun, healthy, and looks awfully tasty. Really nice texture on that 2nd picture – you ever get lights? Kinda looks like you’ve been playing. 😉 Anyway, super post – thanks. Thanks John. This is one hearty dish for a vegan recipe. We loved it. I did not have lights when I took this. Just lucked out with timing. Since then I bought utility lights on someone’s recommendation but they are hard to control (harsh) and get way too hot. Need to find a better option. Now, that is a burger and a half. Sounds like a great cookbook. Kim, I think it’s difficult to make something like sloppy joes look good and enticing, really difficult, but you’ve done an amazing job! I don’t use my slow cooker much but I did make a wonderful Root Beer Pulled Pork in it this Fall. Thanks so much Chris. I was pretty happy with how the photos turned out. Pure luck, right time of the day I think. Some days the stars just align. Currently, my favorite slow cooker meal is chili. And yes, Kathy’s Wacky Cincinnati Chili is really good. I freaking love chili. I love Kathy. She’s the bomb. I like to make stew in my slow cooker. I love stew too. It’s comfort food at its finest. You know, you’re right. I have everything but the millet in my pantry. I wonder if I could get away with bulgur wheat instead. Or quinoa. It looks amazing. I think this would be cool with quinoa. You should totally try that. Even as a meat eater, these look awfully tasty! I know right. I’m a huge carnivore but this is really filling. Short ribs are my favorite thing to cook up in a slow cooker. 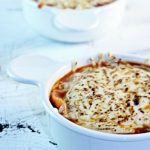 So decadent but so easy in a slow cooker. Short ribs are flipping amazing. I don’t make them enough. My Chili Recipe~great for the family gathering. Chil is perfect for family gatherings. Ha, thanks. I love me some sloppy food. 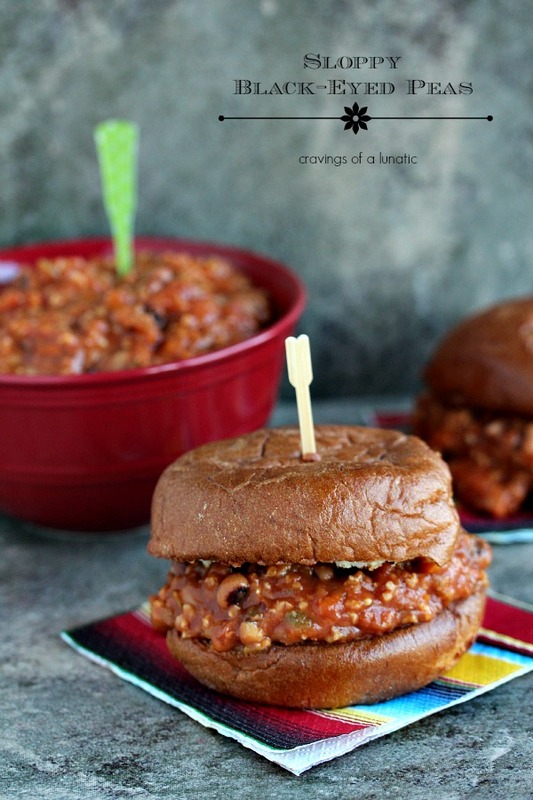 What a great twist on the sloppy joe! I can’t wait to try this in my slow-cooker. Beans are my favorite thing to make. Hope you got a chance to make it. I love beans too. So classic. Right now it’s applesauce. I love to make apple-cinnamon oatmeal in the slow-cooker, and I almost always cook my dried beans that way, too.. I love applesauce in the slow cooker. It’s delightful. I usually just use the slow cooker for chili, I really need a good cookbook for recipes so I can use it more often. Nowadays you can do almost anything in them. They rock. I like/follow Healthy Slow Cooking on Facebook. HI- how many servings does the sloppy joe recipe make? It looks like a very small amount. Would you suggest quadrupling it (eg 2/3 cups of millet total) to make it more family-size? Thanks! Thank you! I’ll definitely double it. (I thought the 1/6 cup was an odd amount!). Great thing to cook in one. I cook in my crock pot all the time, but my favorite thing to make would have to be a whole chicken. YUM! I love making whole chickens in mine. So good. We do that a lot when we want to go to the barn but still have a nice dinner. I like Healthy Slow Cooking on Facebook! Great thing to make in a slow cooker. I like to make spicy lentils in the slow cooker. Love my slow cookers – all of them. Soups and stews are great of course, but what I really like doing in the slow cookers are jams, apple sauce, and fruit butters, oh so easy! Love all of those. It’s so nice to have more than one right. That way you can make multiple items. Plus they rock on holidays for keeping things warm. I love both of those things. I don’t have a slow cooker so no favorite recipes – but if I won the book I would get one. You will love it when you get one. I use mine often. 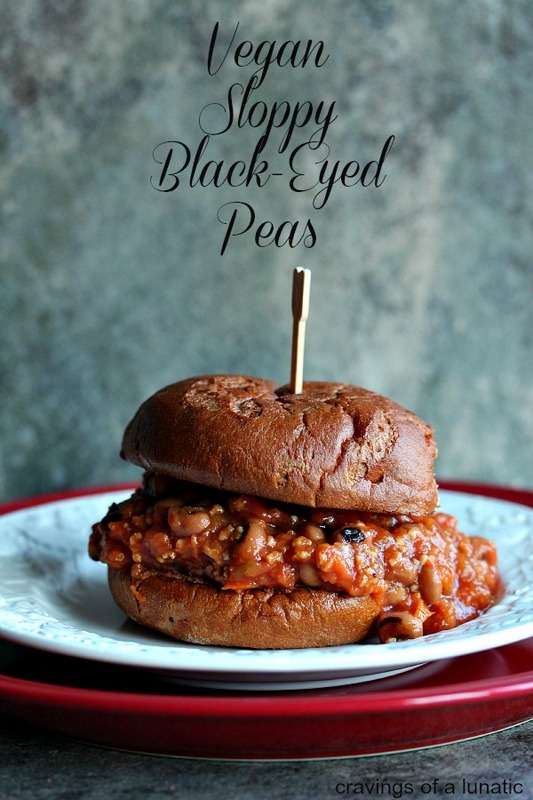 I was never a sloppy Joe fan, but I adore black-eyed-peas, so I might have to try that one! Hope you love it if you get a chance to try it. My gramma used to make that. Great dish. 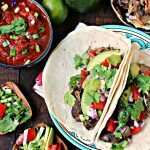 I liked and loved both of you on facebook:) I don’t use my slow cooker very much, but one of my favorites to make is slow cooked black beans. I love that. Sounds fabulous. I don’t have millet, could i use another grain? I’ll get in touch with Kathy to be sure. She’ll be in touch soon. This looks fantastic! I think I’m going to make this later this week, but I want to make sure that this recipe does not require you to pre-soak the dry beans. Is that correct? Hi Jennifer. Just saw this. I was offline for a bit today. Did it turn out okay? The millet missing would definitely impact the texture. Let me see if I can grab Kathy to see what she has to say. She developed the recipe and might have some recommendations to salvage it. The millet is was . makes it thick. You will also have extra liquid since the millet was meant to soak it up. However you can still fix it if you transfer it to a pot and put on your stove – cook the extra water out of it, then add a cooked grain you have in the fridge – even white rice should work. Option 2: Cook up some rice or quinoa, steam some veggies and use the soup as “gravy”. I have been wanting to make this for a while, and today, as was nearly done it in the crock, realized I didn’t have millet after all. I did sub quinoa, and it was not super thick, so added in some corn starch towards the end and cooked for a while longer. it was soooo delicious. I put in on a homemade gluten free bun and served it open faced with finely diced pickles, tomatoes, and onions. Thanks for a wonderful recipe..def a keeper. I’m so happy you liked it. I’ve run out of things while cooking too. Quick thinking on subbing quinoa. I bet it was amazing. This looks great. Last week I made a version of sloppy Joe’s with lentils. I don’t think I have ever cooke with black eyed peas. But this recipe makes me want to try.